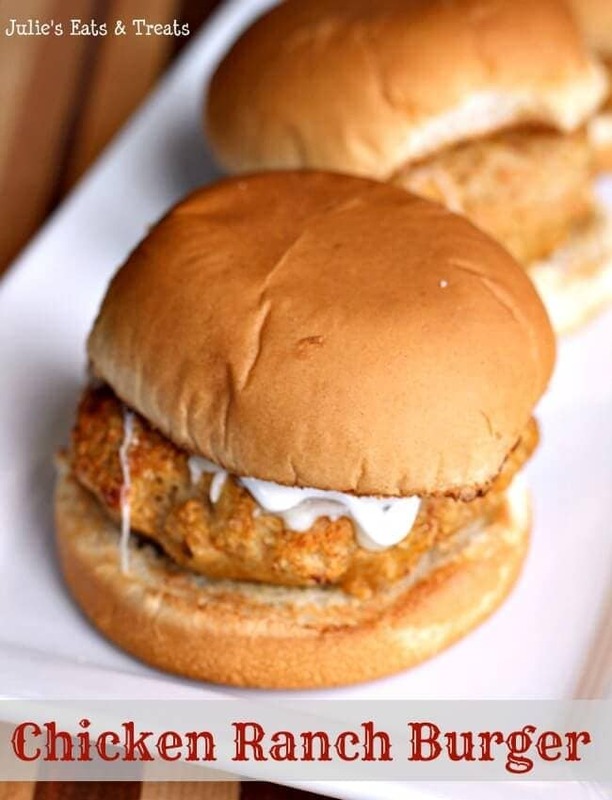 Chicken Ranch Burgers ~ Delicious, Juicy Chicken Burgers Flavored with Ranch! 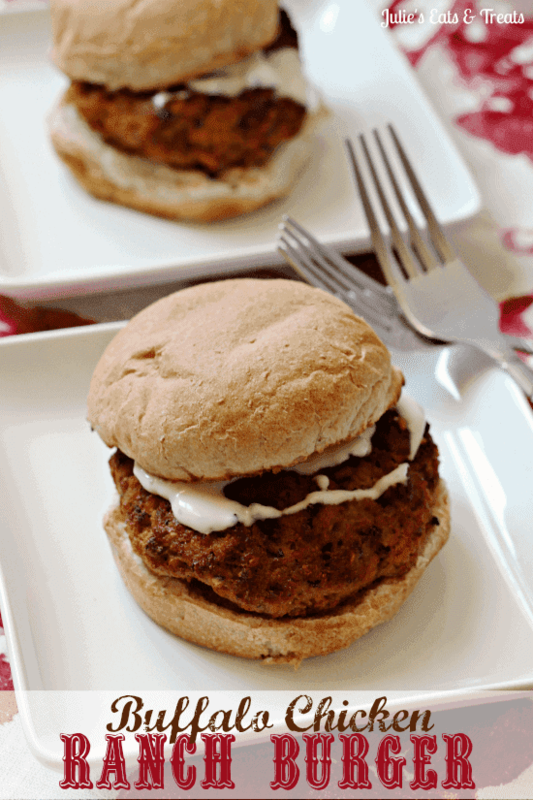 Perfect, Quick Weeknight Meal! Mark another first up for this lady! Using the broiler in my oven to make some yummy burgers. I had to literally go through a tote and dust off the broiling pan that we received for our wedding almost three years ago that was still in the packaging. The baby is not going to go back in the tote after making these burgers that’s for sure! When she called me and told me about this recipe just in case I was looking for a new blog recipe and how good they were I knew it was time. I changed it a lot and mixed it up but boy were they yummy. Obviously, they have Ranch in them. You know I’m in love. Maybe I’ll throw some bacon bits in next time. You know how I roll…. Preheat your broiler on your oven or grill. In a large bowl mix together everything except ranch dressing and buns. Form chicken mixture into 4 patties. Place on grill or greased broiler pan. Broil/grill for 4-6 minutes on each side or until internal temp reaches 160 degrees. Remove from oven. Butter inside of buns, place cut side up on pan and put in oven to broil. When they are golden brown remove from oven. 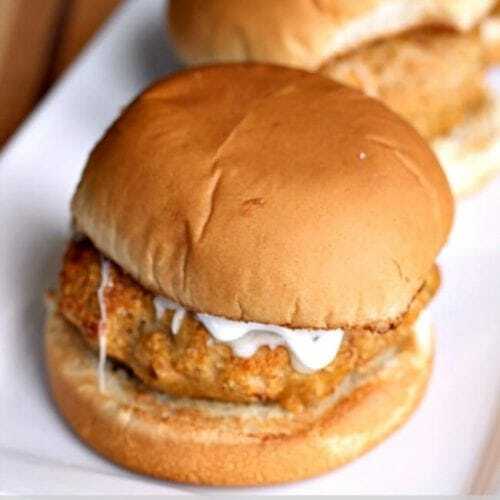 Put chicken burger on bun and top with Ranch Dressing. 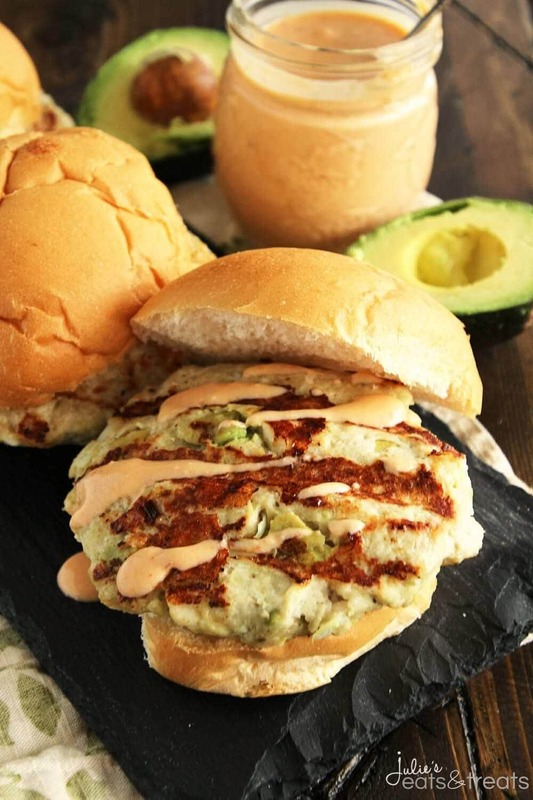 Chicken Avocado Burger with Chipotle Yogurt Sauce ~ Chicken Burger Stuffed with Avocado, Garlic, Feta Cheese and Drizzled with a Delicious Chipotle Yogurt Sauce! This looks sooo yum! and you make it looks so easy! I can’t wait to try this at home with my kids this weekend. My son is not really a fan of beef, we always do chicken nuggets from time to time, so this recipe will really a good alternate to chicken nuggets. Thank you for sharing. Yum! Adding this to next weeks menu. This is truly the perfect dinner for a spring night or summer night. Hi Julie, Since the store didn’t have any ground chicken on hand I used turkey and broiled it in my toaster oven. I also put a slice of swiss cheese on it. It was soooo good. But I think I’d like the chicken even better. Thanks so much. Glad you enjoyed them Kris! That ground chicken is tricky to find sometimes! These look yummo! Trying it tonight I wonder if you can guess at the calories vs. a hamburger? I’m not sure! There are many online nutrition calculators you could use! Made these tonight and they were amazing! Kid approved too! Okay..so I wanna try buffalo sauce..with dry ranch seasoning pack..will that work? Do I need to use egg to keep it together? I think it will work and yes you need the egg to keep it together! Are you supposed to put butter in the burger? I want to try this. It looks absolutely delicious! I am wondering what to do with the butter though? It’s just to butter your buns if you’d like to broil them! Should the broiler be on high or low? Soooooo glad they enjoyed them! LOVE THIS!